Our Jumpers are assembled and manufactured with US made coax and come with a one year quality guarantee. 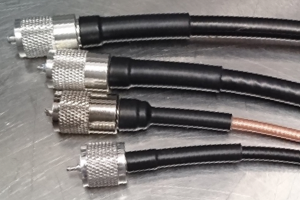 Currently offering jumpers in five lengths with two connectors, in four different coax types. If you need something not offered, or configured a bit differently, or in specific lengths, please ask!  We can honor most requests. 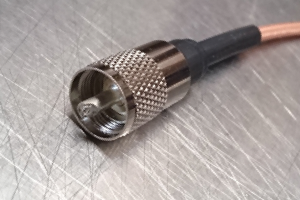 •We use made in the USA Davis RF coax, the same coax used by NASA, U.S. Military and trusted by Ham Radio operators worldwide. •We use top quality silver plated brass body PL259 connectors with Teflon dielectric. •We solder all connectors with Kester 60/40 solder. •Our assemblies are tested for continuity and shorts to grounds in every stage of construction, and finally pull tested to 25 lb. •Each connector is sealed with our Adhesive Lined Heat Shrink Tubing for protection against the elements and provide strain relief. By combining a gas-injected foamed dielectric with a dual foil and braid shield construction, BURY-FLEX™ provides the electrical and performance characteristics found in the more expensive 400-series coaxes as well as typical air dielectric type cables. The Polyethylene (PE) jacket is durable enough for direct burial, yet flexible enough to be used for rotator loops. The PE jacket also provides improved UV resistance compared to typical PVC jackets, significantly extending the life of your cable. Assembled with silver plated brass PL 259 or N connectors, and comes in various lengths. Our 50 ohm RG-213 coax features a non-contaminating jacket, solid polyethylene dielectric, and copper braid with 97% coverage. Center conductor is 12 gauge stranded copper. Perfect for station jumpers and applications where flexibility and small diameters are needed. Our RG 8X Low Loss coax is 50 ohm coax, features tinned copper braid, foil shield, 16 gauge center conductor, foam polyethylene dielectric, and PVC (type IIA) jacket. Not to be confused with LMR-400, RG-400 is a small coax cable made for high performance and high power levels. It sports a silver plated copper center conductor, solid teflon dielectric, and two silver plated copper braid shields, with semi-transparent jacket.